Armagnac is a growing force within global travel retail, spearheaded by family owned brand Chabot. With its strong and growing global presence – available in 96 countries and nine of the top 10 airports in the Asia Pacific region, Chabot Armagnac is on a mission to recruit new consumers internationally. At TFWA World Exhibition this year (Riviera Village RB7), the company will be its strategy to achieve this goal. Behind the approach is the knowledge that consumers, especially millennials, are becoming more adventurous in their liquor purchases, looking for niche and craft categories with authentic and unique brand stories. “This is even more pronounced within the travel retail environment, where customers are more open to trying new, unfamiliar, and different products. Chabot fits in this category with its portfolio of high quality Armagnac,” says Chabot Armagnac President and owner Kathleen Gentzbourger. Based on consumer insights, Chabot Armagnac has redefined its travel retail range to create a more distinctive and persuasive offer. 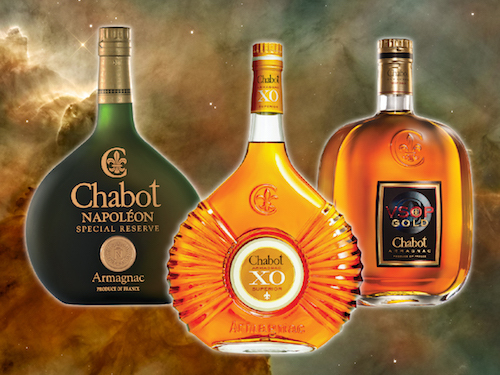 Designed to appeal to a wider audience, consumers will have the opportunity to purchase Armagnac from Chabot VSOP Gold to the exceptional Chabot Prestige No 8, which contains vintages from 1938 to 1976. “We also have stocks of older vintages enabling us to create bespoke expressions for retail clients,” explains Gentzbourger. In Cannes, visitors to the stand can view this complete range, which also includes a stunning new gift box concept for Chabot Napoleon and Chabot XO, available to international travellers towards the end of 2018. A new marketing toolkit and an inspirational brand activation platform that aims to make Armagnac easier to understand will support this captivating offer. “We want to engage and connect with travellers through an experience that not only makes Armagnac more approachable but which also defines Chabot as being in a class of its own,” continues Gentzbourger. “Chabot Armagnac has a strong and growing global footprint in travel retail; to build on this exciting opportunity we’re aiming to inspire and attract new consumers by making Chabot more accessible to everyone.” “We’re very much looking forward to meeting our existing and potential retail partners in Cannes this year to present our strategy for 2019; we have ambitious plans for Chabot in global travel retail and believe we will have a strong and compelling offer to support and grow the Armagnac category,” adds Gentzbourger.